Like it or not, CyanogenMod is still one of the most popular, well-supported custom ROMs out there. However, downloading the necessary files to flash it could be an exercise in frustration. 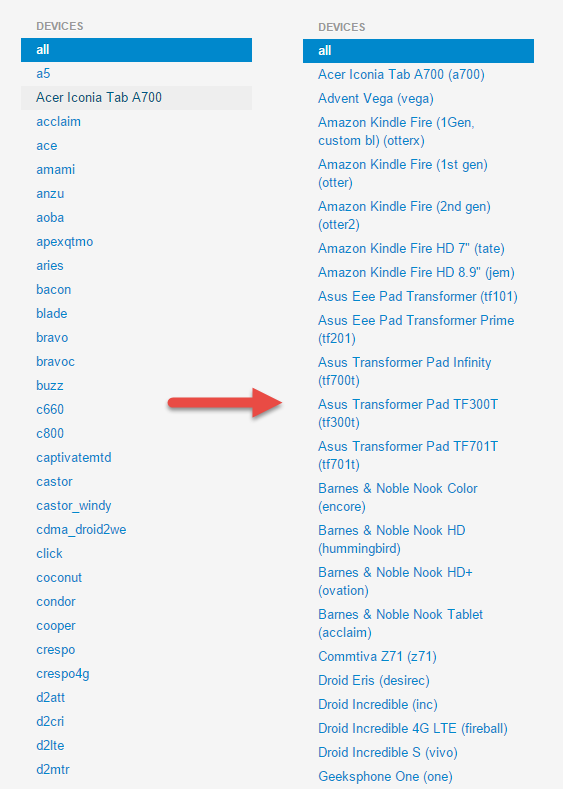 See, the CM download page only listed device code names, but now it uses the device names you actually know. Previously, you'd need to go look up your device's code name on Google before you could easily find it in the CM repository. And browsing to see what's available? Forget about it. For example, you probably don't know off the top of your head what the victara or serranoltexx are, but now they are listed on the CM correctly as the 2014 Moto X and Samsung Galaxy S4 Mini. Along with the change to retail names, the CM download page is getting links to custom recovery images. These aren't TWRP or CWM, but rather the Cyanogen simple recovery, which was previously only on Cyanogen OS devices like The OnePlus One Yu Yureka. Now it will be available (nightly only at first) for all devices.